My final non-stealth character, the Krogan Mercenary secures Firebase Sandstorm in this Platinum Solo. The Kett have finally given up trying to take our sand swept foothold in the Heleus Cluster. Everyone’s invited to the party at Sandstorm tonight, and Kandros is buying drinks! 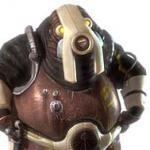 The Krogan Mercenary is one of the stronger characters to play on Platinum. He’s tanky with Rage and Fortify and can be specced for crowd control, anti-armor, or both with Flak Cannon and Flamethrower. Munitions Training is a great passive for solo or team play. If you are getting into soloing in Mass Effect Andromeda, the Krogan Mercenary is a good kit to start with. As I wanted to get this done with a minimum of stress, I equipped the Shorty Siphon and P.A.W. Siphon. Disruptor ammo gave me an additional way to stun enemies, along with Flamethrower and Flak Cannon. Munitions Training 6A Sustained Fire boosted damage all around, and 5B Weapon Efficiency gave me more ammo per clip for both the Shorty and P.A.W. Flak Cannon was completely OP, and it was fun to set everything on fire with Flamethrower. I do wish the fire animation on Xbox was similar to that on PC; it’s much easier to see when they are primed since they are glowing super bright red and orange. On Xbox One, the effect is much more subtle. After so many failed attempts on Paradox, I gave up (for now) and changed the map back to Sandstorm. Given unlimited tries, I am certain I could get it done with this character, but man are those objectives tough on Paradox against Remnant and Outlaws. With those two factions, you have to deal with multiple Observers and Destroyers or Hydras, one group of which always seems to have a bead on whatever device/package I was at. I’m sure there’s a kiting strategy for non-stealth, non-biotic blink characters for handling Platinum Devices and Retrieval, but I have yet to find it. Unlike other characters that I’ve soloed with that have faced the Platinum Kett Boss objective, the Krogan Mercenary is not afraid of the Behemoth. Though I did use one Cobra, I probably could have dealt with it just with my guns, Flak Cannon and Flamethrower. At the end of Wave 5, a Behemoth got stuck in the map, and I was able to take him out with just two casts of Flamethrower and two clips from the P.A.W. If only every Behemoth would stand still like that one! Devices for Wave 4 and 6 were not too bad, although I was staggered by a Berserker Flak Cannon and the Ascendant’s orb a couple of times that could have spelled doom for me. Every non-stealth character is now done! I have the three Infiltrators (Human, Salarian, and Turian) to go to complete the Platinum Solo Challenge with every kit. Once I’m done with them, I’ll post a recap with my soloing thoughts. I hope to see others soloing in the future! I'm sure this will be entertaining! Also, well done as usual, vanelsa !